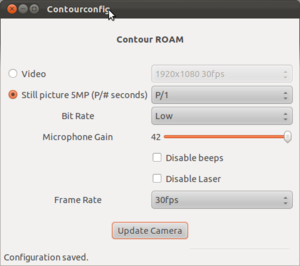 Contour cameras are the only hands-free cameras in the world you can configure. 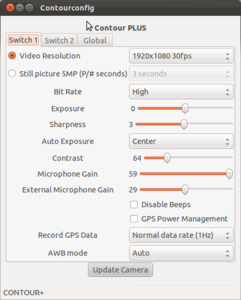 With a slide switch you can adjust the sensitivity of the camera's microphone to adapt to high or low wind scenes. It gives you the controls to dial in the metering, sharpness, and exposure to handle any conditions you face. 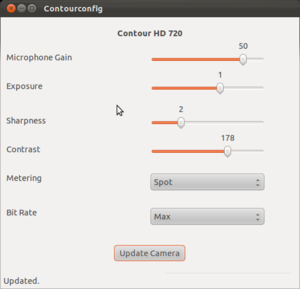 Contour cameras carry multiple HD resolutions and even a photo mode in the ContourGPS model. When i press my "windows" button on my keyboard, then start typing "contour" and application shows up. 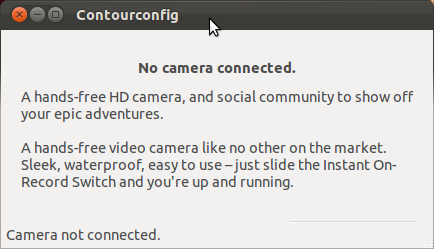 This screen appears when no camera connected or detected to your computer (usual USB). 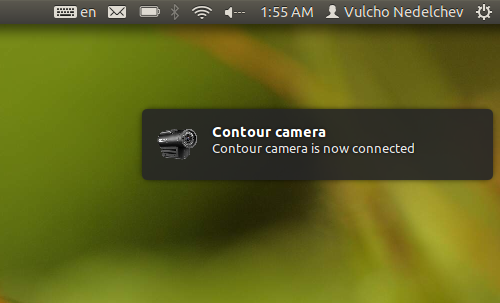 Once the camera is connected, the notification bubble will popup and you can run contourconfig to manage your camera settings. 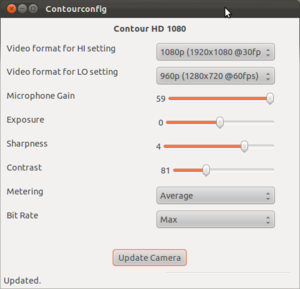 Supported models at version contourconfig v0.3 are: 720p, 1080p, Plus and Roam. 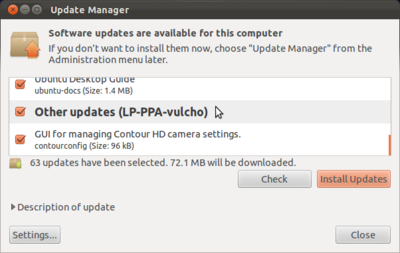 This project is hosted to launchpad.net and it's ppa url is https://launchpad.net/~vulcho/+archive/ppa. 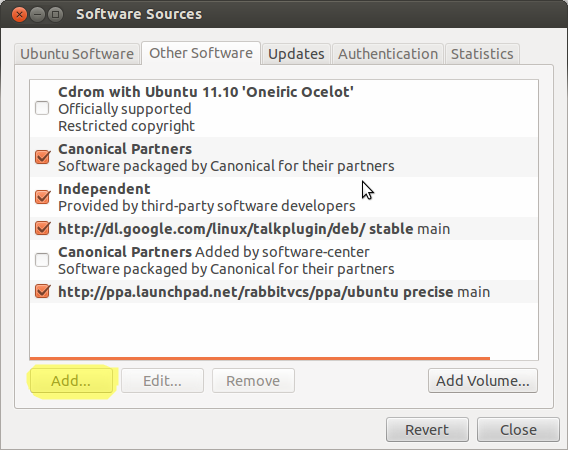 There is a very good explanation how to subscribe and how to update from this repository. 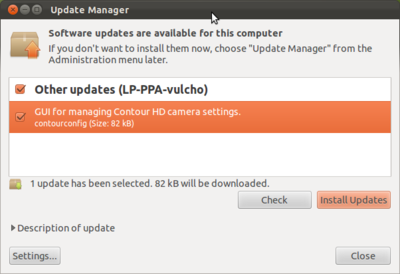 This is not official Contour software. 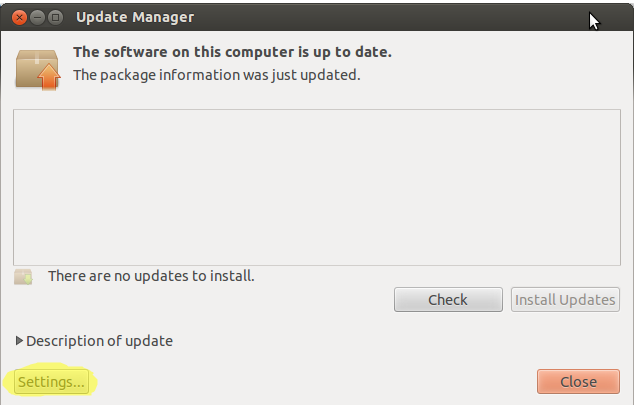 The program is distributed in the hope that it will be useful, but without any warranty. It is provided "as is" without warranty of any kind, either expressed or implied, including, but not limited to, the implied warranties of merchantability and fitness for a particular purpose. The entire risk as to the quality and performance of the program is with you. Should the program prove defective, you assume the cost of all necessary servicing, repair or correction.